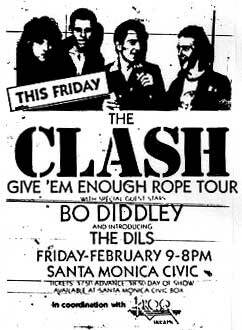 The Clash was simply one of the greatest bands to grace this planet (and nonpareil live). 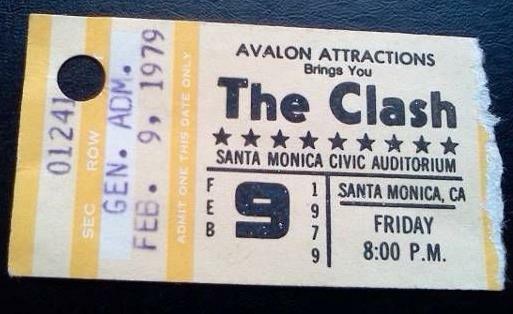 We were in attendance for their second U.S. show ever at the Santa Monica Civic on February 9th, 1979 (nearly 40 years ago), and it was easily the best concert we have witnessed in our lives (and we’ve seen a few). 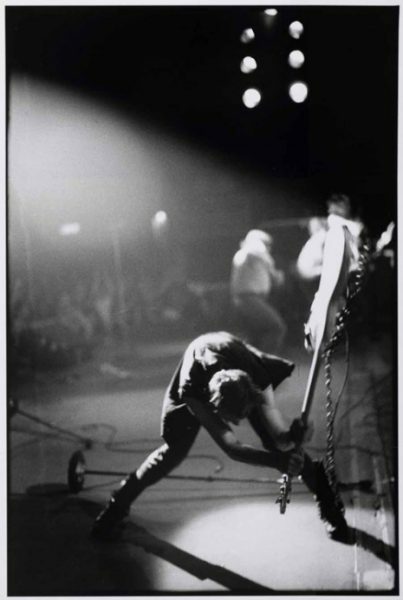 The Clash raged through the show while still managing to care for their fans. Anything and everything felt possible during and after that show. Entire books, movies, encyclopedias, and websites have been devoted to “The Only Band That Mattered.” And rightly so. 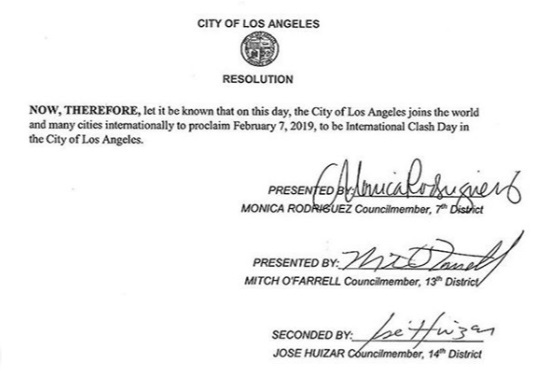 Today, February 7th, has been designated “International Clash Day“, and the City of Los Angeles has rightly adopted the resolution you can read below, joining with the band in proclaiming “we know our rights, and we are not afraid to use them in the fight against hate, tyranny, and ignorance.” Well done Los Angeles! If you haven’t ever seen the band, below you can watch a (grainy) video of their incredible performance of The Magnificent Seven on the illustrious Tom Snyder Show. 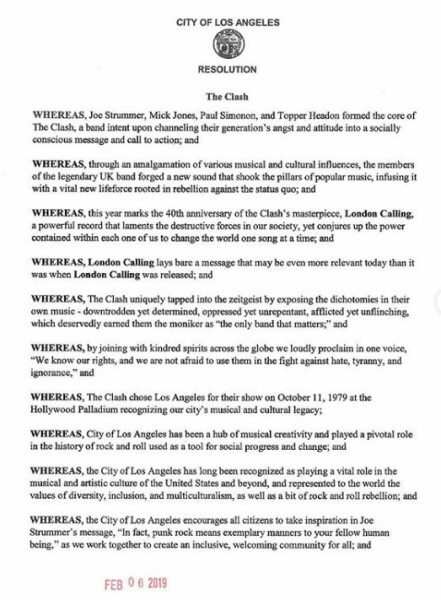 On International Clash Day, we say long live The Clash, and RIP Joe Strummer!